Chelsea manager Maurizio Sarri is under extreme pressure, following a string of poor results that culminated in a 6-0 thrashing at the hands of defending Premier League champions Manchester City at the weekend. 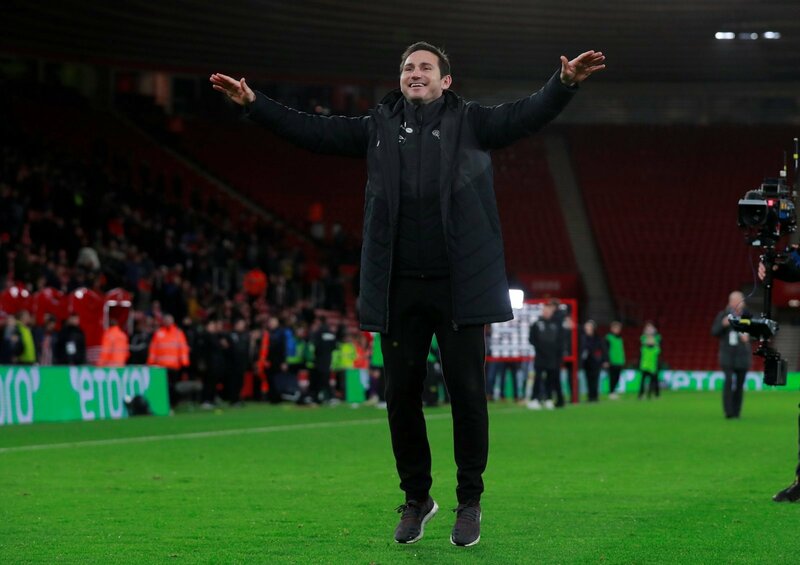 With Sarri’s management of the Blues coming in for scrutiny, there is press speculation that Chelsea old-boy and current Derby County boss Frank Lampard could be brought in if Sarri is shown the door, though Lampard has been quick to quash the rumours. So could you really see Lampard returning to Chelsea if Sarri is sacked? “He’s done nothing to prove himself. “Is he top of the Championship? Have Derby improved significantly on the last couple of seasons? “There’s definitely a chance it could happen. “If Sarri is dismissed, and Chelsea want Lampard to succeed him, then surely he’s going to find it hard to turn them down. “I really can’t see it. “He’s devoted so much time and effort into guiding Derby up the league, and he’s got them into a really promising position. “No, it’s just bookmakers making the link and hoping it sticks. “It’s there to entice customers to back him to leave, but I don’t think he will. “Lampard knows he has a lot to learn it the game and won’t accept a fast-tracked route to the top of management in England.